2. Where is the "Import" button ? 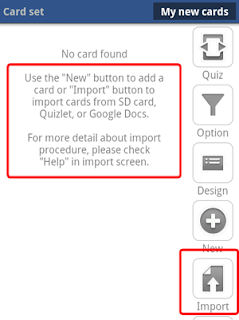 Import button is located in card set screen. (1) You will have to either (1) create an empty card set or (2) go to existing card set first. 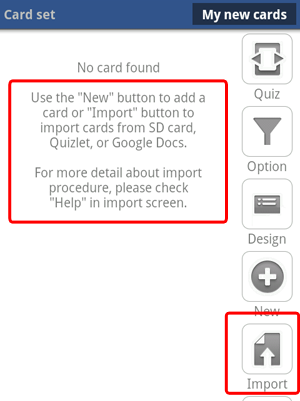 Using the import button, you can bring the card from CSV file, Quizlet or Google Docs.